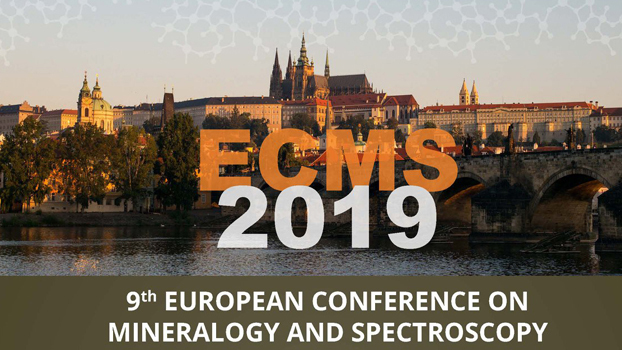 A Special Interest Group (SIG) on Mineralogical Crystallography (MC) has been established under the auspices of the European Crystallographic Association (ECA). Modern Mineralogy is focussed on the fine-scale characterization of the structure and properties of minerals and related compounds, thus being essentially a Geo-material Science. 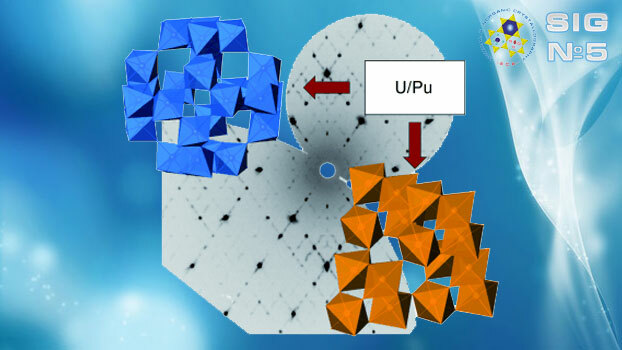 Although the number of newly characterised mineral species is low when compared to that of small molecules, the capability of their characterization is rapidly improving, and presently allows the understanding of very fine-scale details with are crucial to model physical and chemical properties. In particular, crystallographic methods are a fundamental tool for mineral characterization, and can provide constraints for interpreting the results of other techniques and a basis for a reliable modelling of mineral behaviour. These models are particularly important as they provide extrapolation to intensive conditions (P, T, fo2, Xh2o, bulk composition) which cannot be experimentally verified by characterization of natural material and/or the products of syntheses under controlled conditions. Rock samples coming from the deep interior of the Earth are sporadically available, and cannot represent the possible geological situations. For instance, a sample blasted out from 250 km in a kimberlite pipe in Lesoto (South Africa) represents the deepest available rock, whereas the deepest drilling in Kola Peninsula (Russia) could achieve "only" the level of 12.2 km. Uplifting geological processes (and erosion) brought to surface few metamorphic rocks from (perhaps) 100 km; however, they most probably re-equilibrated during uplift. Within the last few decades extraterrestrial material (lunar, Martian and interstellar) became also available, and will be increasingly accessible for mineralogical studies. In this respect, mineralogists are particularly interested in the development of high-pressure/high-temperature (crystallographic) techniques, which allow simulation of the matter in the interior of the Earth and in extraterrestrial conditions. 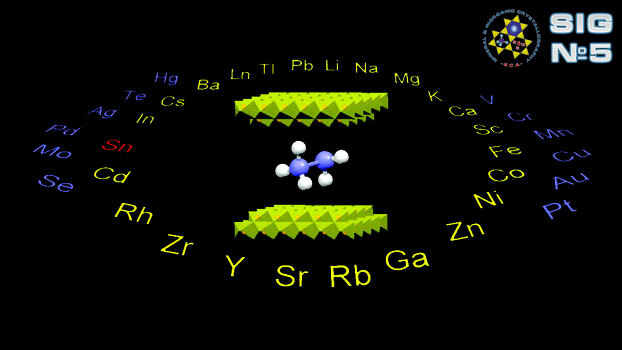 The development and availability of intense- and micro-beam radiation sources (synchrotron radiation) also is opening a new era for characterizing micrometric samples and for the physics and chemistry of minerals, in that it allows in situ determination of (very rapid) cation-ordering processes and phase transitions even on very small crystals or on powdered material. The combination of structural data with the new information from spectroscopies based on synchrotron radiation and (pulsed) neutron sources is also giving extremely promising results. To sum up, the experimental and theoretical problems to be faced by mineralogists, physicists and chemists of minerals span from synthesis and crystal growth to the characterization of the structure and properties, through modelling and development of new methods. Complicated crystal-chemistry due to the presence of isomorphous substitutions and the absence of discrete units (molecules); minerals are actually infinite arrays of atoms. Atomic order/disorder at the long- and short-range level which reflect the conditions experienced by the host rock and may be used to accurately model thermodynamics and kinetics of the geological processes. Real structures with defects and modulation, resulting, from deviations from thermodynamic equilibrium. Low crystallinity and disordered materials. Development and application of theoretical and experimental aspects of the crystal-chemistry of minerals and related inorganic structures (including solving, modelling and predicting crystal structures and their properties). Development and application of theoretical and experimental methods (particularly in the fields of diffraction, spectroscopy, microscopy, crystal growth and symmetry) for characterising average and real aspects of this type of structures, also as a function of thermodynamically relevant parameters such as temperature, hydrostatic and non-hydrostatic pressure, electric and magnetic fields, oxygen and sulphur fugacities, and water activity. Formulation and definition of the terms and language specific of the field, including the systematic of minerals and related materials. Preparation and availability of databases and computer programs. Exchange of scientific and teaching information. 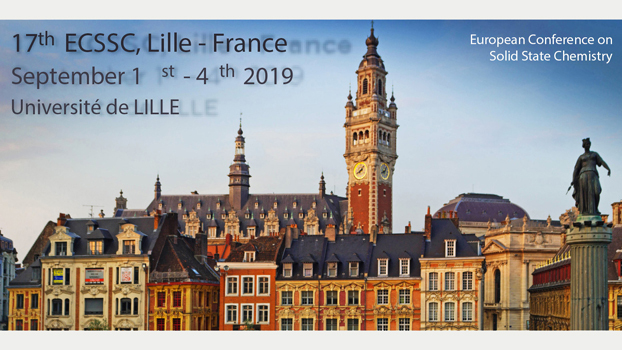 Organisation of local and international workshops, lecture courses, symposia, etc., with particular reference to the ECM meetings. The currnet list of members of the SIG of Mineralogical Crystallography is far from including all the European mineralogists involved with crystallography. To start the SIG the aim of the promoters has been to obtain the initial assent of a representative group of scientists who, in different European countries, can serve as a first reference for the activities of the European Crystallographic Association in the field of mineralogy and inorganic structures. Now, after approval, the membership of the SIG is open to all European crystallographers active in the field of mineralogy. Non-European scientists can also join the SIG No.5, after registering as individual members of the ECA (registration fee: 10 Euro per year). In occasion of the meeting of the interested crystallographers in Nancy during the ECM-19 (25th - 31st August, 2000) it has been decided to keep the officers of the SIG to the number of three (one cair, one vice-chair and one secretary).